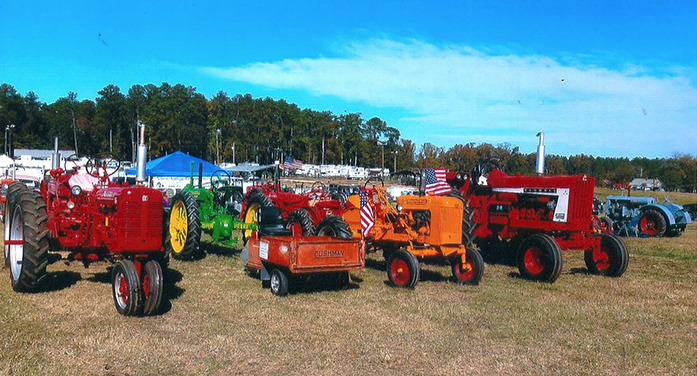 The 21th Annual Fall Festival/Tractor/Engine show and pull will be held at Richland Creek Farms, 542 Richland Creek Road, Ward, S. C. 29166. The festival site is located between Batesburg-Leesville, Ridge Spring and Saluda. From Batesburg-Leesville take Hwy. 178 north toward Saluda or from Ridge Spring take Hwy. 39 north toward Saluda from Saluda take Hwy. 39 south toward Ridge Spring follow the signs and exit onto Duncan Road which leads to Richland Creek Road. The gates open each day at 9:00 a.m. and the tractor pull begins with a demonstration pull at 7:00 p.m. on Friday and the Saturday competition pull beginning at 1:00 p.m. The highlight for the weekend is a visit to Richland Springs Baptist Church for Old Fashion Day on Sunday beginning at 10:00 a.m. The church is located at 1895 Duncan Road.